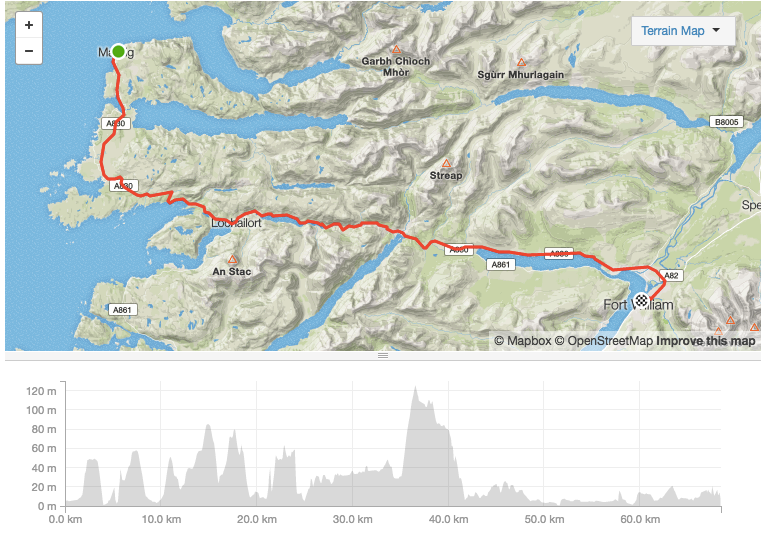 Todays riding is 70 km / 787 m elevation gain. Est riding time – 4:13 hrs. The last day of riding, and a nice gentle tour back to the gateway of the highlands – Fort William. If you are feeling lazy, you can get the train from Mallaig to Fort William. Which follows the road you will cycle, for the main part. The cycle route, starts out undulating, but flattens the nearer you get to Fort William. 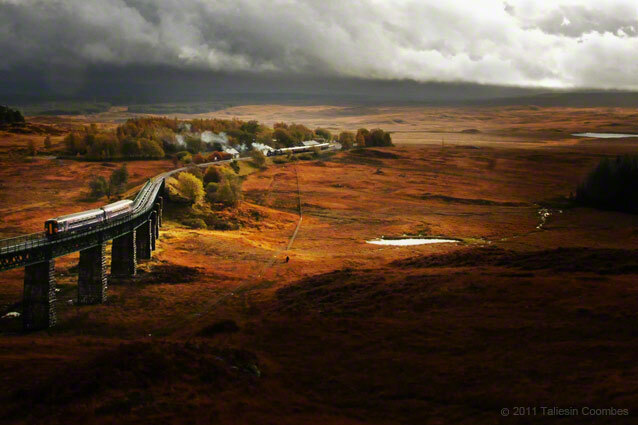 I stayed overnight in Fort William and then train to Glasgow the next morning, with the famous ascent over Rannoch Moor. Possibly one of the best train journeys ever. The arrival into Glasgow is a bit harsh, very noisy and busy. Then train back home south the following day. All in all two days of travelling by public transport on way back, which was a lot slower than the 4 hrs from airport to Barra beach and starting point.